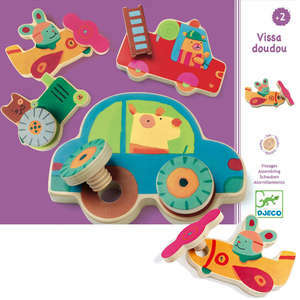 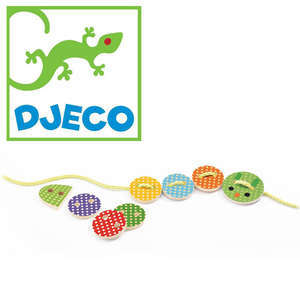 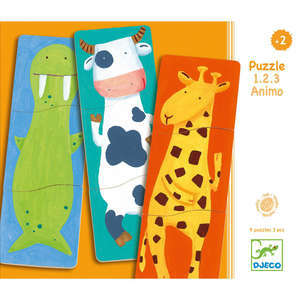 Mixamatch is a fun wooden puzzle from Djeco. 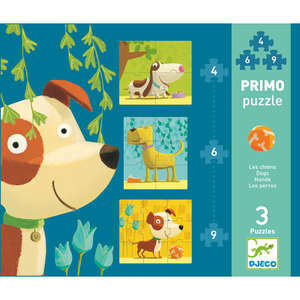 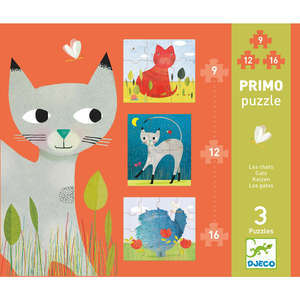 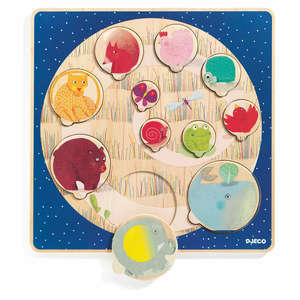 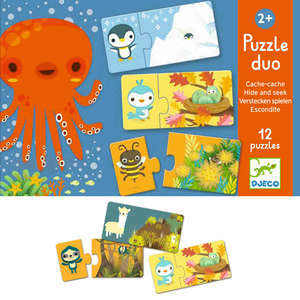 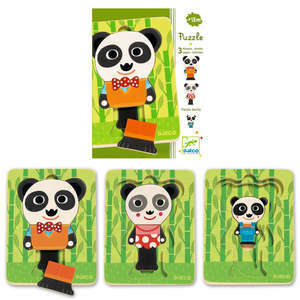 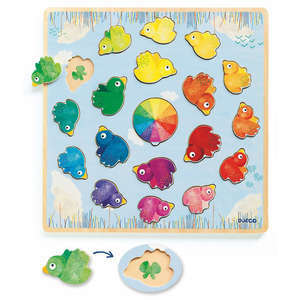 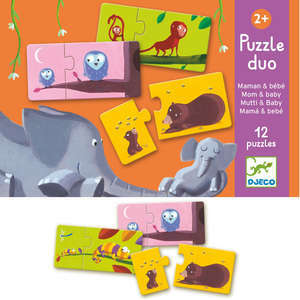 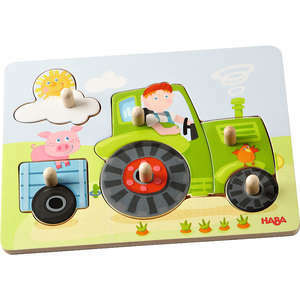 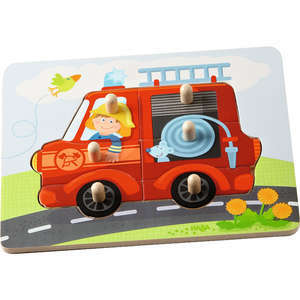 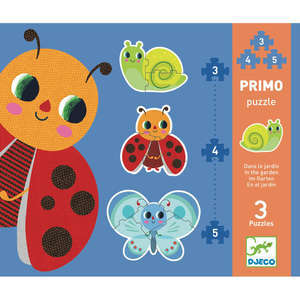 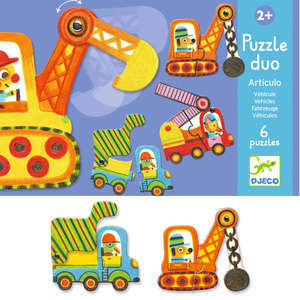 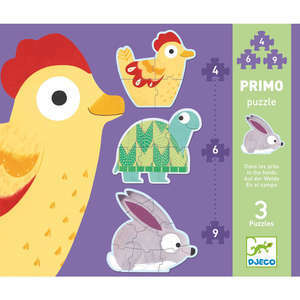 Arrange the pieces in the shaped puzzle tray to make the five cute animals shown on the box. 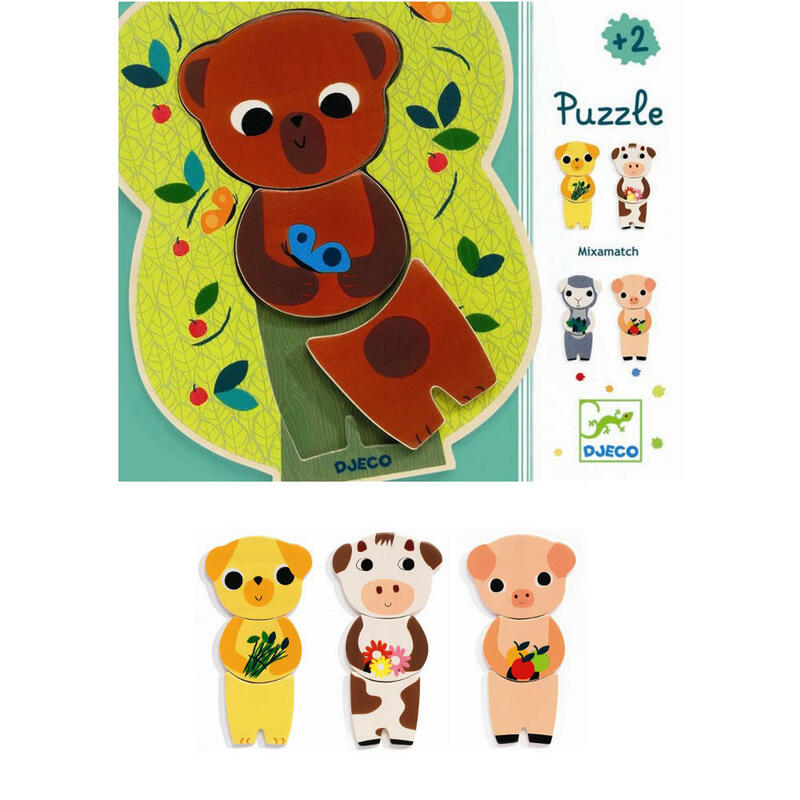 Alternatvely, mix and match the body parts to create more unusual looking animals. 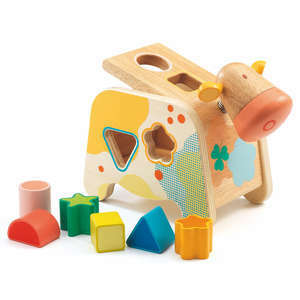 Look carefully at the colours to match the correct head, tummy and legs. 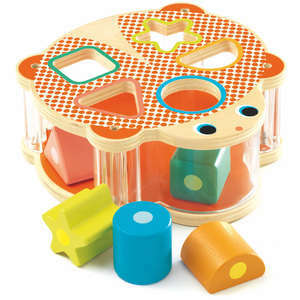 Presented in a colourful box for easy storage between play. 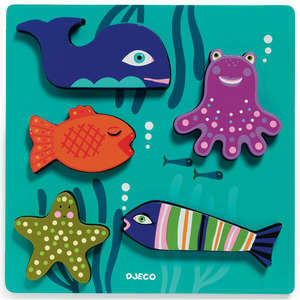 Each 3 piece animal is approx 14cm tall. 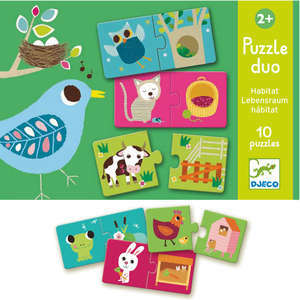 Puzzle size approx: 14.7 x 18.6 x 0.9cm.